Ebony is doing great. She is now 17 and working. God is so good. Ebony is 16 years old and was diagnosed with congestive heart failure and a valve leakage when she was just five months old. She stayed in the hospital for nine months of which six days were spent on life support from complications caused during a biopsy. Ebony has lived a semi-healthy life with her condition and before now has never really had any major problems other than routine tests. Ebony grew up in Bardstown and will soon be in the 11the grade at Bardstown High School. When Ebony graduates from high school she wants to go into a field that involves working with kids. Kids love being and playing with Ebony. Its like that is her calling that God has given her. Ebony is a quiet girl who loves softball, shopping, reality TV, talking and playing on her phone. She is handling everything that she has gone through and is going through like a champ. I’m so proud of how strong she is. At this point, Ebony’s health has declined to a point that doctors have determined that getting a transplant would be the best thing for her. Ebony has a positive attitude about everything and a strong faith in God to help her through this hard time. As you can imagine, having a serious health problem is very expensive. Visiting doctors, getting routine lab work, tests and medications get very expensive quickly. That is why we ask for your help in the fight to help Ebony have the healthy and successful life she deserves. We have chosen to fundraise with HelpHOPELive in part because HelpHOPELive assures fiscal accountability of funds raised and tax deductibility for donors. Donors can be sure that funds donated will be used only to pay or reimburse medically-related expenses. To make a tax-deductible donation to this fundraising campaign, click on the Donate Now button. Even if you can’t afford to give, we also appreciate prayers, thoughts, and your life changing stories of what you may have been through. Thank you everyone for your support and prayers. God bless you all! Hello everyone. I would like to thank each and everyone for there support in the past. I am asking for your support again. On July 14 this year Ebony had back surgery receiving (Fusion) rods in her back for her scoliosis. She is such a strong young lady and I am so proud of her. She would never want anyone to feel sorry for her. I am asking for your help to raise money for medical expenses that has accumulated from this surgery. I would appreciate your support. Thank you so much. Ebony is still doing great. June 4th will be a year she had her transplant. God is so good. However, now we found out that they want to do surgery on her back for scoliosis on July 14th, which we knew would come eventually, so I ask for your prayers. Thank you for everything. Ebony is still doing great. She is working and doing well in school. We would like to thank everyone that has support Ebony through this hard time and God bless you all! Ebony today is doing great. She just had her 17th birthday. Its been almost 6 mths since her heart transplant. Ebony today is working . I am so proud of her, I can’t thank God enough for my baby’s health. That’s my girls. God Is Good. 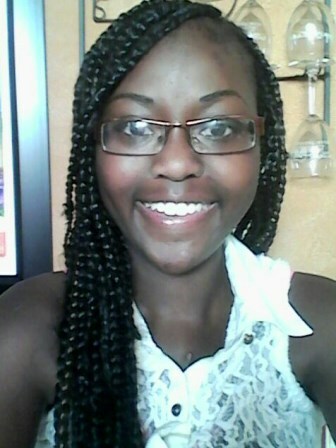 Ebony has been fortunate, on June 4, 2015 she recieved a life-saving heart transplant. Please help us with raising money for medical expenses. Today, Ebony was admitted in the hospital to start her journey to a healthy and stronger life. She was put on the transplant list and started meds so that her heart doesn’t reject the new heart when she gets it. Ebony is doing great.